A one off chance to see 4 members of Pressure Drop joined by Danny Mizzi on drums and Jon De Robillard on keyboards playing a whole bunch of classic covers (Marley, Toots, 3rd World, Jimmy Cliff...) at The LuWow. Plus direct from London you'll hear DJ Katman Dude spinning in the tunes. Members of Pressure Drop get together as REGGAE RIOT. 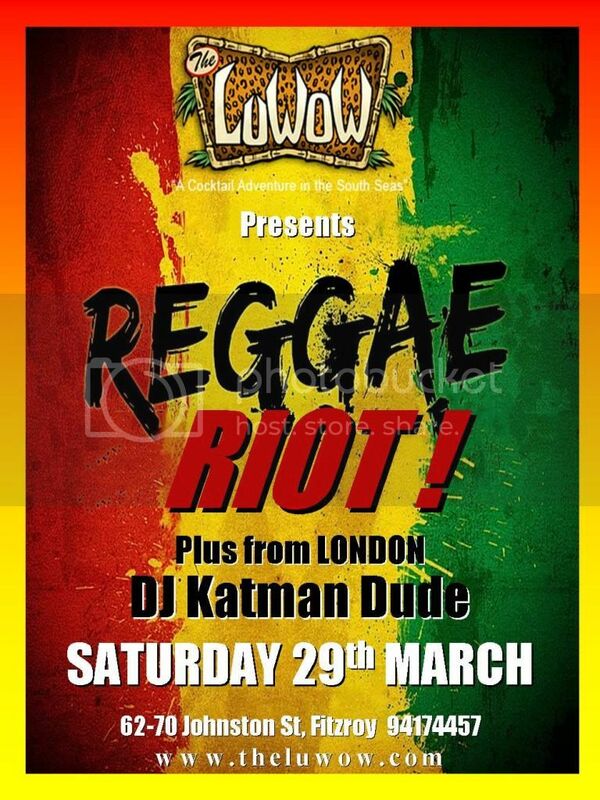 Plus London's top Ska, Boogaloo, Rhythm n Blues DJ KAT MANDUDE. Exclusive at The LuWOW. Go to our website for some videos of Pressure Drop playing live at Bar Open recently and short grabs of some of our originals.